Looking to provide unique and surprisingly effective health care products within your wellness practice or health store? We have been specializing in providing natural medicinal body care products for Wellness Clinics and Wellness Retailers within Canada since 2004. A family business that began at local Farmers Markets in the Shuswap, BC area over a decade ago has expanded to placement in wellness clinics across Canada, as well as online sales reaching as far as Europe, Singapore, and the UK. Our remedies are hand-crafted in small batches in Vancouver, BC to ensure a quality product that truly works. 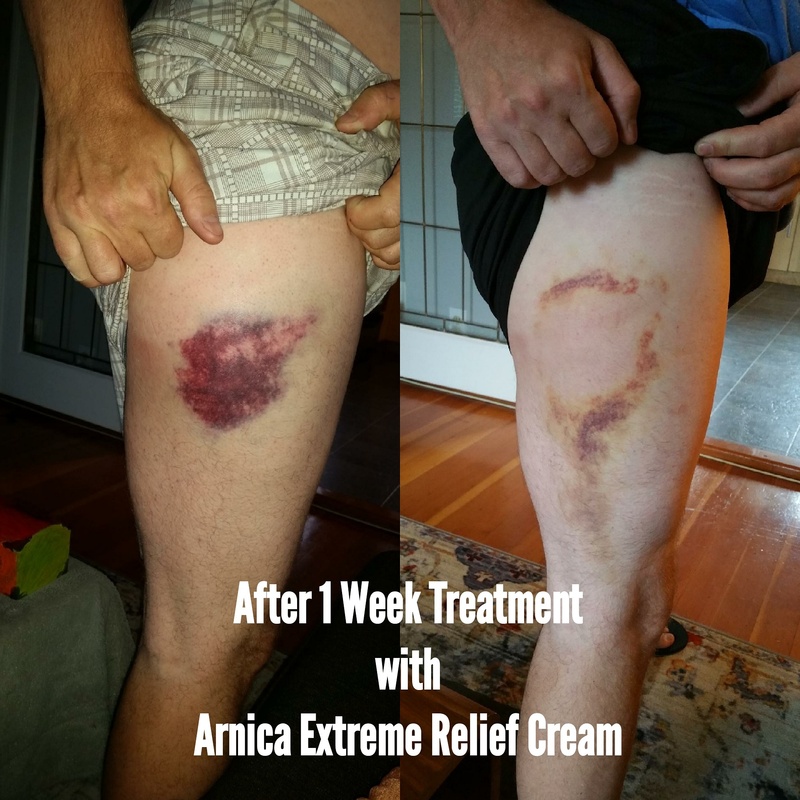 “I absolutely LOVE the Arnica Extreme Relief Cream! I use it with my patients daily and each time the result is a satisfied patient who would then like to purchase some for their use at home. It is remarkably effective and it smells great too! Fabulous product. Thank you!” – Maria Laslop, Registered Nurse, Registered Acupuncturist, Registered Chinese Herbalist, Owner of Urban Lotus Acupuncture & Herbs, Victoria, Canada. “I run Karen McLellan Acupuncture in Victoria, BC. I LOVE this product and have had incredible success with it. It flies off the shelves! I’ve attached a before and after photo of the bruise my husband had from an impact. You can literally see where he used the cream and where he didn’t. The centre of the bruise was gone within a week whereas the rest took much longer. This cream is amazing!”- Karen McLellan, Registered Acupuncturist & Doctor of Traditional Chinese Medicine, Victoria, BC.